We stock a wide range of timbers. Loose Boards are sold by the running metre and prices are based on the width and thickness required, while PAR Boards are sold in 2.4m and 3m boards. 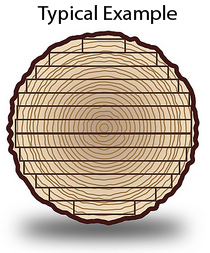 When Hardwood timber is cut from the round it is produced to random width and length, to maximize the yield from the log. These boards are then measured and sold on to hardwood merchants for re-sale. When an end user has a need for instance of 6" wide board this may in many instances come out of 7" 8" or 9" board, this is termed as "wastage" and can vary from 20% up to 40%. This is usable material and should always be costed into the project in hand. Our policy is to achieve a wastage factor within 40% and this should be borne in mind when ordering Hardwood. In regards to the delivery the longest we can send is lengths of 3.6mtrs. If you need lengths any longer please give us a call on 02030514794.